Panxora is one of the many cryptocurrency exchanges from Hong Kong. 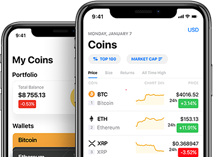 Initially First Global Credit, (now rebranded as the Panxora exchange) allowed traders to use their cryptocurrency capital to back trading other asset classes. Panxora prioritizes security and in this regard, it will store all the submitted documents in an encrypted format behind its firewall to prevent access by unauthorized third parties.